: Cost of Flour Power Kids Cooking Studios Franchise? How Much Does It Cost to Own a Flour Power Kids Cooking Studios' Franchise? Owning a Flour Power Kids Cooking Studios franchise can be a lucrative business, but it does have some initial financial requirements. To open a single franchise location, the company requires that potential franchisees have liquid assets of at least $50,000. See how the investment level of Flour Power Kids Cooking Studios' compares to those of other available franchises. Does owning a Flour Power Kids Cooking Studios franchise sound like the correct business venture for you? Add this franchise to your cart and request free additional information about this business from the company, itself. These are the locations, inside the United States, where Flour Power Kids Cooking Studios is looking to expand its franchise. 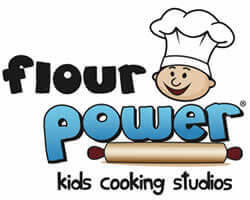 Flour Power Kids Cooking Studios is currently accepting inquiries from the following states: AK, AL, AR, AZ, CO, CT, DC, DE, FL, GA, IA, ID, KS, KY, LA, MA, ME, MO, MS, MT, NE, NH, NJ, NM, NV, OH, OK, OR, PA, SC, TN, TX, UT, VT, WV, WY. All children learn through hands-on discovery. Add the ingredients of fun, energetic adult instructors, and the love of home cooked food, and you have stirred up the essence of a Lil' Chef! From preschool to teens, we create amazing kids cooking experiences like Weekly Classes, Camps, Kids Night Out events, Etiquette Classes and Birthday Parties. If you are ready to make a change within the next three months, please request information and one of our team members will call you right away. Click here to get in contact with Flour Power Kids Cooking Studios and request free additional franchise information.